Last January, I began my first work term by flying to Calgary, Alberta, a new city where I knew no one. Since it was the middle of a freezing winter and there were no social events on my calendar, I found myself with a lot of free time on my hands. After a few weeks, I decided to pick up some wool and needles from a yarn shop downtown and spend my evenings learning to knit. Now, almost a year and a half later, knitting is part of my daily routine and continues to improve my life in numerous ways. Read on to find out how knitting as a student can benefit you! Particularly for introverts, making friends in university can be a challenge. The idea of striking up a conversation with a classmate is often intimidating, and the fear of a chat descending into awkward silence can prevent you from starting it in the first place. That’s why a shared hobby like knitting can be an amazing catalyst for friendship. Although I’m generally shy in my classes, I recently noticed that a girl sitting beside me had a knitting-themed ‘Weapons of Mass Creation’ phone case and launched an enthusiastic conversation which lasted until the end of the period. Similarly, on co-op placements, knitting has made a great conversation starter when my coworkers and I are still getting to know each other. Although you may see knitting as a solitary craft, it can stretch your social circles wide open! These days, the average person’s attention span is surprisingly short. Knitting pushes back against this trend by requiring crafters to sit down and focus on a project for an extended period of time. It’s easy to stay on task when you’re motivated by genuine interest and can see the progress you’re making as you go, and knitting regularly can train your brain to focus better in other situations as well. Knitting also provides a different kind of focus boost for me. Once you’ve developed a basic level of skill, it’s easy to stay engaged with a project while paying attention to something else. If I have to listen to a long online lecture or sit through a slow-paced movie, knitting prevents my mind from wandering and keeps me engaged. If you have difficulty sustaining concentration, a simple knit project might be the solution. 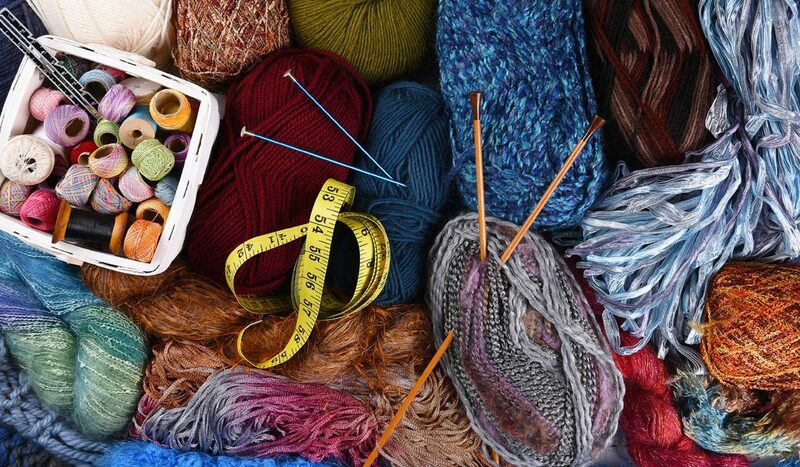 Scientists have repeatedly observed a connection between textile crafts like knitting and improved mental health. Studies suggest that people who knit regularly are happier, calmer, and more confident as a result. In fact, knitting is sometimes recommended as an alternative practice for people who find that meditation and yoga aren’t for them. In addition to promoting these positive trends over time, knitting can also have immediate helpful effects for people who struggle with anxiety. As someone with obsessive-compulsive disorder, leaving my mind unoccupied during long bus rides or visits to waiting rooms leaves me vulnerable to intrusive thoughts and anxiety spirals. In this regard, knitting has been a lifesaver; plugging in my headphones and picking up my knitting needles gives me something constructive to focus on during long waits and keeps my disordered thinking patterns at bay. If you suffer from any form of anxiety disorder, you may find that picking up a knitting project is an effective way to ‘turn down the volume’ inside your mind if your symptoms begin to spike. This list is just a small sampling of the benefits I’ve experienced from knitting; it also increases my motivation, boosts my confidence, makes gift-giving easy, and so much more. If you’re a student interested in exploring a new hobby, grab a pair of needles and fire up a YouTube tutorial–the rewards can be huge.